We're moving later this year to our new location! Our move is all about making "more" possible. One more story, one more chair, one more child, one more step with God. We invite you to join us in making it happen. You can view the videos below in 360. Press play, then drag the image in any direction. To view on a mobile device, download the Vimeo app for iOS or Android. As mentioned in the update video above, we will get into the new location with our current funding trajectory and building pledges. However, there are some items we will still need that you may be able help us with. Every little bit helps! To contribute toward a specific item, use a check or email us with the details. As we get closer to finishing the construction on 4019 Executive Park Blvd, we need all hands on deck. There's still time to pledge or give. Read the booklet above and check out the property flyover video to see our renovation progress! Want to help? Consider giving or pledging to give. This is a pledge (simply a statement of your commitment) toward supporting our ONE MORE building campaign. Knowing your commitment will greatly help us as we financially plan for this project. Please prayerfully consider what God would lead you to commit to. We ask that you make this pledge as ADDITIONAL giving to your regular Sunday tithes and offerings. 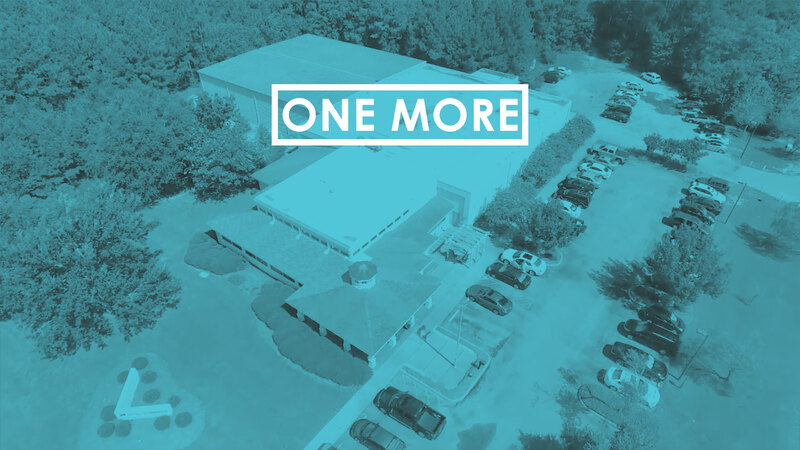 Will you commit to praying for the One More Campaign?